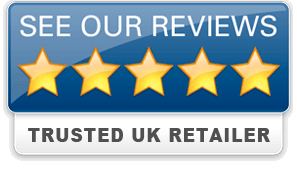 Retail Finance – Interest free finance for up to 12 months on purchases over £350. Minimum 10% deposit required. 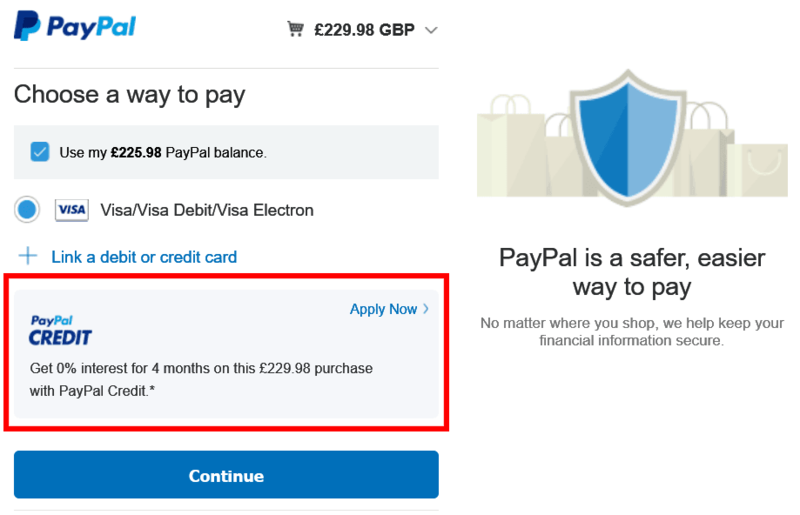 PayPal Credit – Simple to use if you already have a PayPal account. Good acceptance rate. Interest free finance for up to 9 months on purchases over £150. No deposit required. Both of these options are available in-store or online, more details below. 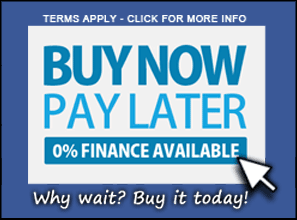 Interest free finance for up to 12 months on purchases over £350. Minimum 10% deposit required. Finance on orders over £350.00 with a term of 12 months and 0% interest. Using the finance calculator below, you can insert your total spend plus your deposit amount to see what your monthly repayments will be. Defcon Airsoft is acting as a credit broker offering finance products from Omni Capital Retail Finance Limited. Credit is subject to status and for over 18 years of age UK residents only. The minimum loan value is £350 and the maximum is £15,000. Loan value is defined as price (multiplied by quantity) minus deposit. Deposits between 10% and 50% are required as part of Omni Capital Finance Loan options. Loans can be secured both online or instore. Simple to use if you already have a PayPal account. Interest free finance for up to 9 months on purchases over £150. No deposit required. For UK customers, there’s now an easy way to treat yourself and get all the airsoft gear you can dream of using PayPal Credit. It’s a quick, straightforward process allowing you to spread the cost of your purchases at zero percent interest over monthly installments for purchases over £150. You can apply for PayPal Credit directly from our checkout page. Simply select PayPal as your payment option and you will be transferred to the PayPal secure website where if you are eligible you will be automatically offered the option to apply for PayPal Credit. The application should take no more than 10 minutes to complete and you will then be redirected back to Defcon Airsoft to complete your transaction. All that’s left to do is wait for the gear to turn up! Once you have chosen the PayPal payment option, you will be directed to the PayPal website. It is a PayPal Credit requirement that you login to your PayPal account or create an account at that point. Check that you are eligible by ensuring you have of a minimum spend of £150 on eligible for credit products. If you have checked that the minimum spend has been reached and you still have no option for PayPal Credit, please give PayPal a call and they will help you out.